Today we discuss Metal. Metal has been very important to the development of society. So important, there is no way we can discuss all the importance in one article. For that, this is more of an introduction to the many article we will have. Every metal has a special history that is worth discussing and has a variety of uses. Today’s article will look more at the broadness of metals and how to understand them when looking at future articles. Metal is an absolute must for any society to grow, offering untold benefits. When we discuss metals, we often discuss its density, it’s ability to conduct heat and electricity, how well it shines, its malleability, how fusible it is, and ductile it can be. These are all important to understand when we talk about the use of metal, as those different features can differ from one metal to the next, and help us understand the creativity in developing new techniques in processing metals from extraction of ore to creating new alloys. Out of the 118 known elements of the periodic table, 91 are metals. Many metals are quite abundant, with Silicon being the second most common element found on Earth and Aluminum being the 3rd most common. The first most common element would of course be oxygen. It’s important to note that many metals are not found in their pure form, but rather mixed with other metals or materials. More than being mixed with other metals, many are bounded to oxygen, due to the oxygen rich environment we have. Iron, for example, mixed with oxygen (often in the presence of moisture) becomes Iron Oxide, or the red colour rust as it is commonly called. It can take some time for this rust to appear for Iron, but other metals react with oxygen instantaneous, such as Potassium, which results in burning (as you can see when Potassium reacts with water). Other metals can be slow to oxygenation processes. Some metals, such as Copper and Iron, can form a layer of oxygen that helps protect the interior; slowing oxygenation. Other metals will form a protective barrier of oxide that stops further oxygenation like Aluminum and Titanium. Then there are metals that don’t react with oxygen at all, such as Platinum and Gold, do not react with oxygen. For those within metal work, this is important to know, due to the process you must follow to remove oxygen from the metal during the smelting process. Metals come in a variety of densities, from Lithium to Osmium (lightest to heaviest, respectively). This is important to know for the ductility and malleability of metals, as it is a general rule that the lighter or less dense a metal is, the easier it is to melt it and shape it. Not always true, but good rule of thumb. So metals like Copper and Gold were seen a lot during the ancient age, as they have a relatively low melting point compared to many other metals. Jump to the modern age, Copper and Gold were also found to conduct electricity really well, and due to their ductility, they could be made into wires. Ductility is best described as the ability of a metal to deform under tensile stress, or pulling. This is important in things like making wire. Malleability is the ability to deform under compressive stress, such as making it thin with hammering. Both Ductility and Malleability are aspects of plasticity, or the process of metals that can be deformed without fracturing. Metal plasticity are not either or, and can be both. Gold for instance is highly malleable and highly ductile, where Lead has low ductility and high malleability. So Iron wouldn’t make an ideal wire, but could be made into armour, where Gold can do both. Though, plasticity says nothing for the strength or conductivity of metal, only what pressures you can put on the metal. We won’t further discuss the strength, conductivity, or reflectiveness of metal, as there is a lot of variety with the different types of metals. Each article of metals we discuss in the future will have a discussion on these topics where appropriate. These are metals that easily bond with oxygen and reacts with hydrochloric acid (HCI) to form hydrogen. Metals such as Nickel and Zinc fit into this category. Copper is also seen here, as it does react with oxygen, but does not react with HCI. In times past, Base Metal simply referred to common metals one could easily find versus precious metals that were highly valuable and/or hard to find. Ferrous is Latin, meaning “containing iron”. This category is metals that has iron in it. Metals that are resistant to corrosion or oxygenation, unlike Base Metals. Often are precious metals due to their rarity. Silver and Palladium are in this category. A rare metal (or perceived rare) of high financial value. Generally, highly conductive. These kinds of metals were often used as currency, such as Gold and Silver. Mostly used for decoration, they do have industrial uses. No clear definition has really been given that accommodates all highly dense metals found within this group. Some metalloids are found in this group, which are a mixture of metal and nonmetal material, such as Boron and Arsenic. Many are toxic to humans, but some are important for humans and all other life in small quantities. 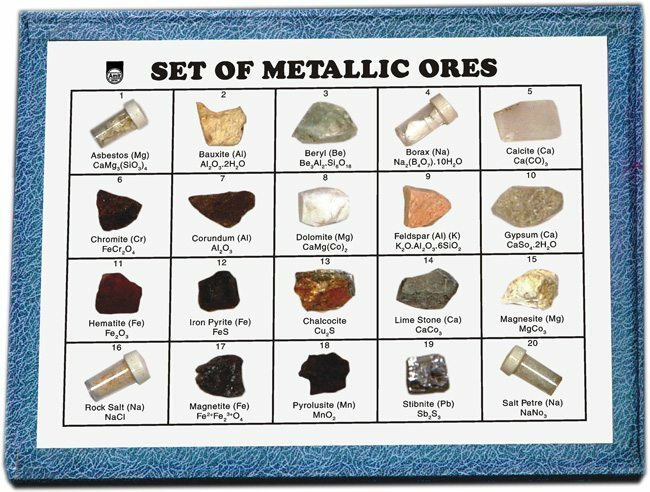 In a very basic sense, Ores and Alloys are a bit alike. Both are the combination of metals. Beyond that commonality, they are quite different. Ores are rocks that contain a variety of minerals and metals in them. They are mined from the earth and then extracted through smelting (or other chemical process), and metals are removed from the Ore. Alloys are generally made by man. Some alloys can be found naturally, such as electrum, which is an alloy of Silver and Gold. Meteorites can also have alloy of Nickel and Iron, but this alloy is not native to Earth. All other alloys are the blending of various metals, minerals, or other materials. The use of alloy can be used as a cost effective measure of some metals of high cost, and mixing a relatively cheap metal with it allows you to still have a similar quality (generally) with lesser cost. Most interesting, alloys are also formed to get a superior product than the sum of its parts. Two best known alloys are Bronze and Steel. Bronze is a combination of Copper with Tin. Both Copper and Tin are considered soft metals, and Copper made for a poor weapon because it couldn’t maintain a sharp edge. Yet when combined together, Bronze proved to be stronger and maintain an edge. Two soft metals combined becomes a hard metal. This would seem that 2 + 2 = 6. There is a lot more to discuss about alloys that will be addressed in articles about their metals, but will have specific articles about alloys. Same thing with minerals, which do have a wide range of uses, with over 4900 different types. These will have their own article as well, but only the most common types. Prior to the use of metals for tools and weapons, were the use of stone. Thus this time period is often known as the Stone Age. It is believed that metals such as Copper, Gold, Silver, Iron, and Lead were discovered during this time. Some of which were used as heavier rocks for general use until smelting was discovered, also during this time period. Right near the end was the discovery of charcoal, that helped with the smelting process. More and more societies began to use metal to shape their society. It is believed that it was during this time that Tin was discovered. Most likely, the alloy of Copper and Tin was found by accident. Bronze proved to be superior than that of Copper, and was so widespread that this era of history was also known as the Bronze age. Depending on the culture, the Bronze Age started around 3300 BCE – 2000 BCE and lasted until 1200BCE to 600BCE. Bronze was a big discovery in history, but as demand grew, it became difficult to produce since it was rare to find mines of Copper and Tin close to each other. It often required trading to get one or the other, and thus Iron was used instead. The use of Iron over Bronze started the Iron Age, which started around (depending on where in the world one was located) 1200BCE – 100BCE and lasted until 800BCE to 1BCE. Ages of man stopped being referred to by metals after this. It was also during this time that Steel was discovered as an alloy, which was superior and cost effective compared to Bronze. During this age was more of a transition between Bronze and Steel. Bronze was still highly used near the beginning, and seen for great vessels, but Steel was becoming a favorite around the world. You still saw other metals, such as Gold and Silver used for jewelry and decoration. 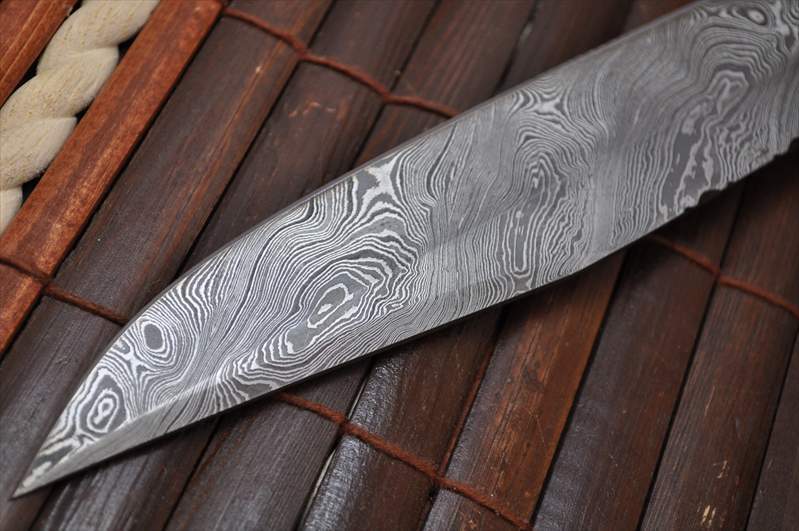 War was the drive behind the use of metal and almost every nation had their own way of producing steel, which included Wootz Steel and Damascus Steel. Some nations lacked ores to get the metals and trade routes were necessary to meet the demands of their civilizations. The decline of the Roman Empire had a great impact on the technological development of the Middle Ages. This affected the output of metal, as less direct efforts were made at the extraction of ores, often picking up what could be seen, rather than dig to find what was needed. Iron wasn’t impacted as much as other metals, such as Copper, which may explain a decrease in Bronze art. By the end of the Early Middle Ages saw a renewed production of mining and smelting. High Middle ages brought about new innovations with mining. This was pushed by a population boom between the 11th and 13th century. We saw the use of water engines for use of waterwheels powering bellows, which blew air into a fire to make it hotter. This allowed for continuous blowing of air, thus allowing for higher temperatures. Also hammers powered by water was also seen. 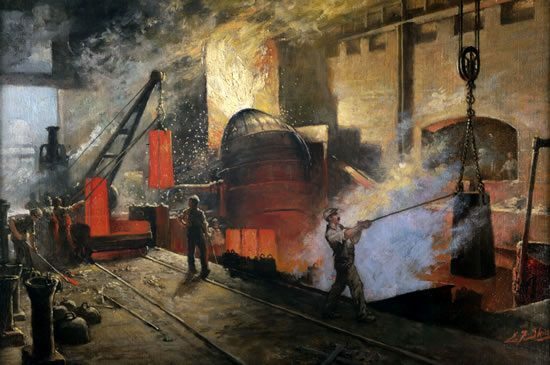 Blast Furnace were also introduced during this time period. Late Middle ages continued with innovation but was halted by the Great Famine of 1314 and the Bubonic Plague (1347 – 1353) (my newest book soon to be released takes place during the Bubonic Plague). There was also the Hundred Years War, which caused severe deforestation. The death of human life during this period was so great, that it practically halted the industry and trade of metal. Notable mention was Arsenic. While Arsenic was known of for nearly 4000 years prior, only in 1250AD was it successfully isolated. Despite the near halting of the Late Middle ages, the Renaissance saw a resurgence in mining much like the end of the Early Middle Ages. By the end of the 15th century, there was a need to rebuild society to rival that of the Ancient cultures and surpass them. This was the time for innovation for all aspects of life, and metal was certainly important during that time. There was also an interest in understanding how things work and why things were the way they were, which transformed into Alchemy. Alchemy had been around since the Ancient Age, but it was during the Renaissance that there was a great need to discover the means to turn other metals into gold and developing the elixir of life. Alchemy however eventually led to modern science, such as chemistry, and to modern medicine. Up until this point, the known metals of the world largely consisted on what we had found in prehistoric times. It was during this age that we discovered more metals in the world. Some major metals found were: Cobalt, Platinum, Nickel, Magnesium, Tungsten, Uranium, Titanium, Osmium, Iridium, Potassium, Sodium, Calcium, Boron, Lithium, Silicon, and Aluminum. There are many more than that which was discovered. During this time, there was newer innovation in many fields. We saw Steam replace animal and water power. Coal was also a fuel to replace wood as it was now harder to come by. Metal working became even more important, with innovations in transportation with ships and trains. Steel was also used to make machine parts, which created factories to do things much faster and in greater quantities than ever before. Part of this was due to the Bessemer Process, which made Steel easier to make while being a higher quality. Because of the innovation of new fuels and mass production, many products made of iron and steel were cheaper and lighter. As we know, the 1900’s were a time of innovation in a way the world had never seen. While most of the innovation that we see today came in the latter half, it was the first half where it really began. We saw improvement in transportation with trains, automobiles and aircraft. However, we saw innovations in warfare as well. Such as the Tank for WW1 and improved for WW2. We even saw early Aircraft Carriers, machine guns, and even helmets for warfare. And while we had submersible as far back as the Civil War, it was in WW1 that submarines were a serious threat. During this period, we discovered even more metals and developed new alloys, such as Stainless Steel. However, there was such a great need of practically everything for WW2, recycling of scrap metals became imperative. What we saw during this time was that demand couldn’t be met by current supply and every little bit was needed from everyone. One metal of importance during this time that had a great effect on our modern age was Aluminum. While Aluminum was discovered nearly a 100 years prior, it was very difficult to process it, and had the value of Gold. Once the proper process was developed for smelting, it became very abundant. I am combining both Atomic Era and Information age. Post WW2, our world went to a new direction. We are able to do more now than ever before. Anything we could once dream, is practically possible now. Metal plays a big part in all of that. 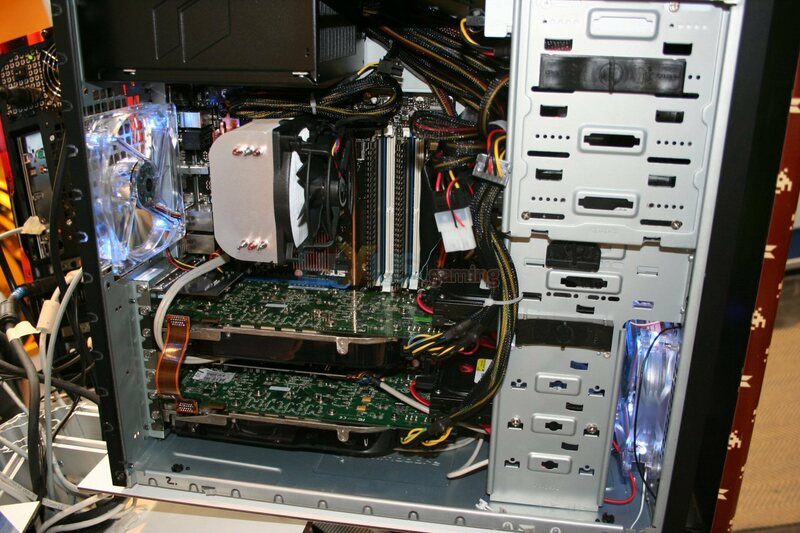 From the Aluminum in my soda can, to the Copper and Gold in my computer, to the Silicon for my CPU. You would be hard press to go somewhere now and not find metal being used in some way. It’s possible, but very difficult. To talk about how metals affect our modern world, would require a discussion by itself. Everyday seems to be a new discovery of something we didn’t know yesterday and we are understanding the universe a little at a time. This section will have to be covered in specific articles to truly appreciate the effect metals is having on us now. NOTE: It is difficult to cover all aspects of the history of metal, and likely I overlooked something. It’s fair to say that with the future of metals, we will undoubtedly find a new alloy or metal to change how everything we know is done. We can imagine whatever we want for what will be done in some unknown time. However, we can make a few logical guesses for what will be coming next. One thing that we are seeing is the attempt to unlock new elements on period table. These aren’t thing found in nature, which means that they must be created in a lab. Though it may be possible that we can find these somewhere in the universe, whether on an asteroid, or another planet or another galaxy. Perhaps something we may see in our lifetimes is Amorphous Metal alloy, also known as Glass Metal or liquid metal. Despite the name, this is not see through metal, though it could lead us to the T-1000. The glass refers to the structure of the metal. Metals are a crystalline like structured, meaning highly ordered. Amorphous is the opposite, which is an unordered structure. Now this is something that is already produced, but not widely used. These metals have the promise of having high tensile strength, great corrosive resistance, bouncy (see video below), and long lasting durability. Mostly used in golf clubs, cellphones, and protective coating of other metals (for now). Imagine what we could do with this kind of alloy? Another possibility is Shape-Memory Alloy. You thought Batman’s memory cloth cape was a work of fiction… well it is, as far as I know. This stuff is quite interesting, as it can be deformed but remember its shape once heat is applied to it. There is One Way Shape, that will remember one shape and return to that shape when it is heated, and two way shape, that will return to either shape with heat or cold applied to it, respectively. Imagine that you get in a car accident and you can spray your car with hot water and the car is like brand new? Maybe that is still science-fiction, but may one day be a reality. When you design your world, you can’t not have metal. Yes, that’s a double negative. But I use it to drive a point. Metal is one of the most important aspects of your world, and yet because metal is surrounding us, we are often ignorant to its true importance. Hell, metal is found in our own bodies. Iron in our blood cells is responsible for transporting oxygen to the rest of our body. However, it’s not enough to have metals, but you must also process that metal. Techniques of processing will vary depending on your time period. Copper done today is using techniques developed back in the Ancient age. Yet it took close to 100 years to find a way to use Aluminum and Titanium. This is something to give serious thought to as far as what metals to have. Generally use our world as a good reference to what metal to have in your world. For most stories, you will be in the Middle Ages, and you will likely have the Metals of Antiquity: Gold, Silver, Copper, Tin, Lead, Iron, and Mercury. 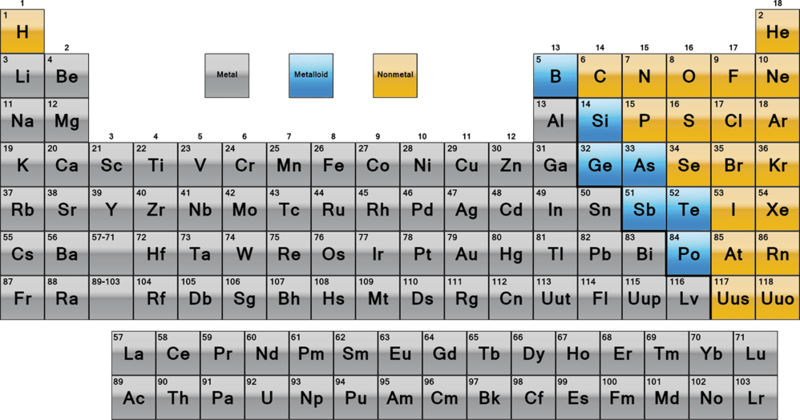 For much of human history, these were the known metals of the world, until the 13th century when Arsenic was available. It wouldn’t be until the end of the 17th Century when we’d get our next metal discovered. From here, we will have separate articles for individual Metals, Minerals, and Alloys, along with all the other topics within the Worldbuilding headings. If there are any topics you would like me to do, please leave a comment below and I will put it on my to do list. My next article will cover Copper.